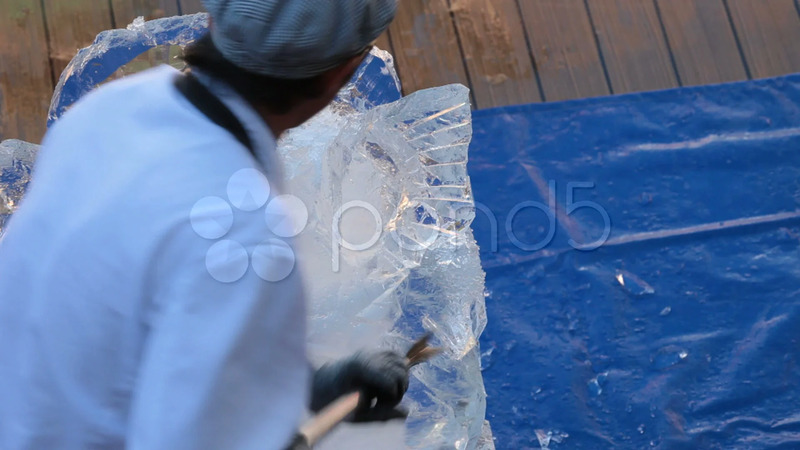 Description: Ice carving sculpture by hand tools on board a cruise ship. Using a hand chisel to break, carve and smooth a design into a solid block of ice. Don Despain of Rekindle Photo.